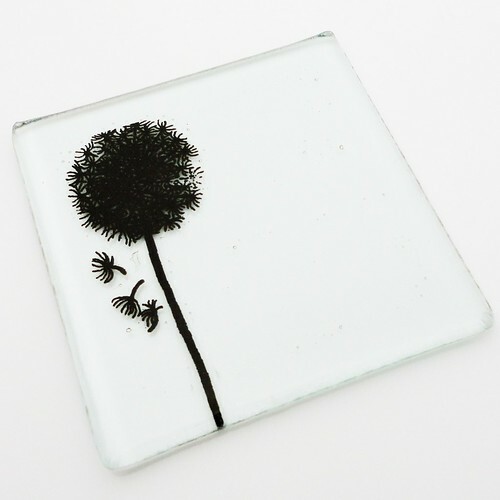 Dandelion Clock fused glass coaster. This coaster has been made from fused glass and fired in my kiln to 800 degrees for 22 hours (including heat up and cool down). The design has been screen printed using enamels, which will be not fade or wash off. This is an elegant coaster and would compliment your dining/coffee table. Rubber bumpers on base to protect your furniture.